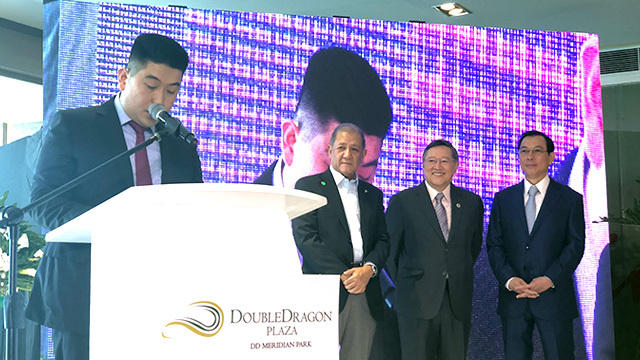 DoubleDragon Properties, one of the country’s newest property development companies, has inaugurated the first phase of its flagship office and retail project called the DoubleDragon Plaza in Pasay City on May 7. 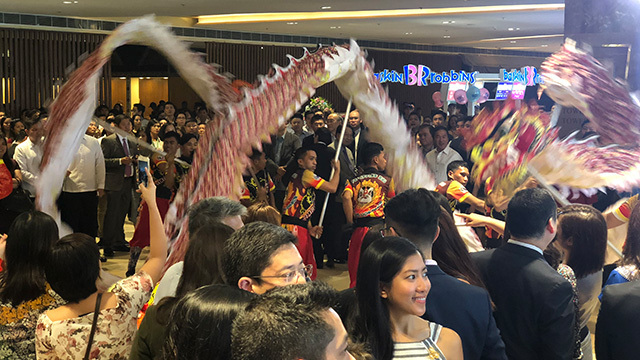 DoubleDragon was co-founded by one of the country’s youngest billionaires, Edgar “Injap” Sia II, in partnership with Jollibee Foods Corp. founder Tony Tan Caktiong. The partners put up the company after Sia sold a bulk of his chicken barbecue fast-food chain Mang Inasal to Jollibee in 2012. 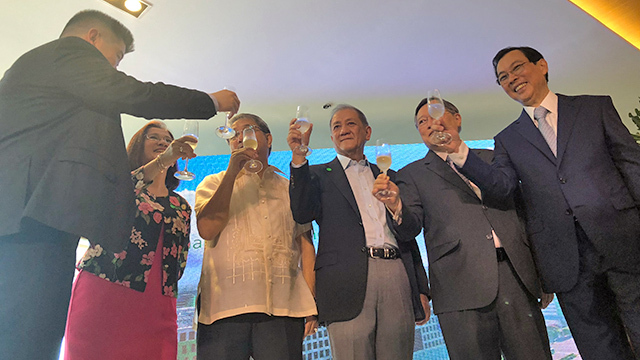 The property company is building a hundred community malls called CityMall nationwide to catch the big shift from traditional to modern retailing in tertiary Philippine cities by 2020. 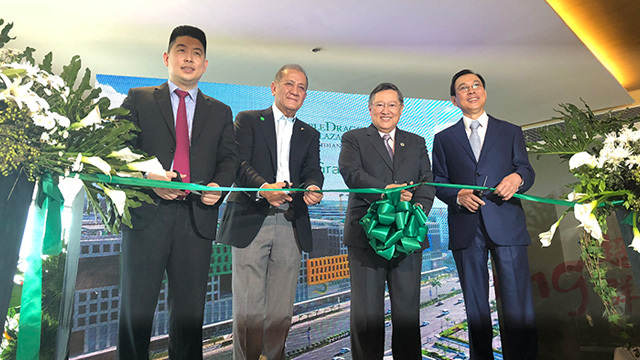 In his speech at the inauguration ceremonies on Monday morning, Sia said the completion of the first phase of the entire project—a 4.75-hectare development project called DD Meridian Park adjacent to the Mall of Asia of the SM Group—is an indication of the huge potential of small businesses to grow if given access to the capital markets to raise funds. 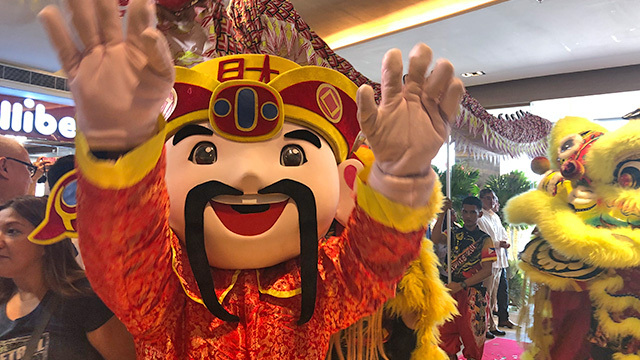 Though observers would attribute DoubleDragon’s success largely to its founders’ cunning strategy or hard word, Sia acknowledged the important role that the government played in supporting small businesses such as DoubleDragon to grow into major industry players. He singled out the Department of Finance, represented by Secretary Carlos “Sonny” Dominguez III, for its role in “promoting an even-playing field in the capital markets of the country so that eventually, even newer and small SME companies would have the same opportunities as the more established players. 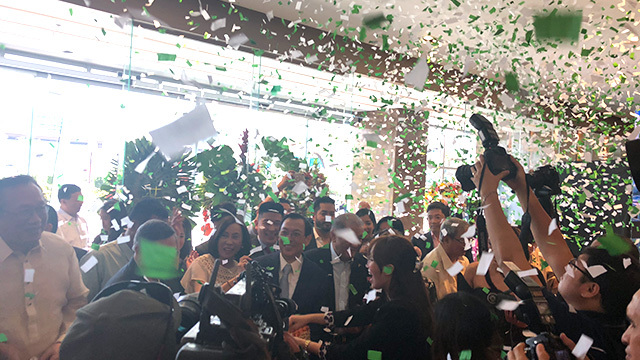 “Being able to tap capital markets allows smaller companies to execute significant projects like where we are today which serves as inspiration not only to other SMEs but all other startup companies that being small is not a hindrance to embarking on significant projects that in the past was perceived as something only large companies could undertake,” Sia added. 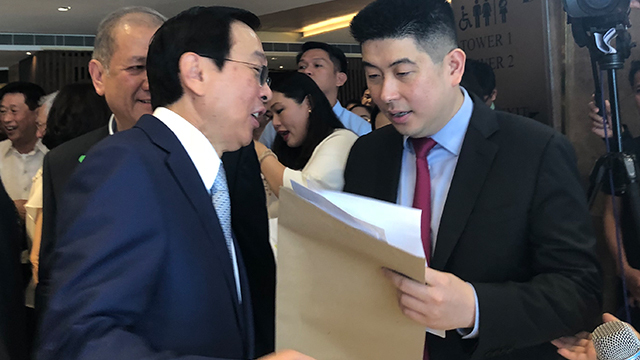 Sia told Entrepreneur Philippines that when DoubleDragon listed at the Philippine Stock Exchange (PSE ) in August 2014, it initially traded on the exchange’s small board before moving to the main board the following year. Check out the pictures from the event on Monday attended by some of the big names in business and government.